Forget putting a kitschy Newton’s cradle, or one of those liquid sand art displays on your desk. 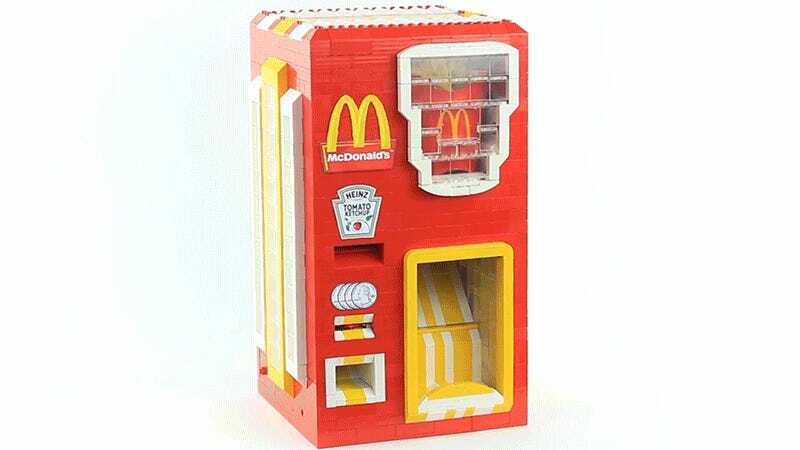 Nothing will make your work day pass faster than a Lego vending machine that dispenses McDonald’s french fries and a packet of ketchup. It’s another Mindstorms-powered creation from Astonishing Studios that lets you charge a dollar in quarters for each serving. So your co-workers don’t have to be jealous of your hourly snack, they can come and buy their own, and you can turn a profit on your creation—if you can figure out how to build your own.